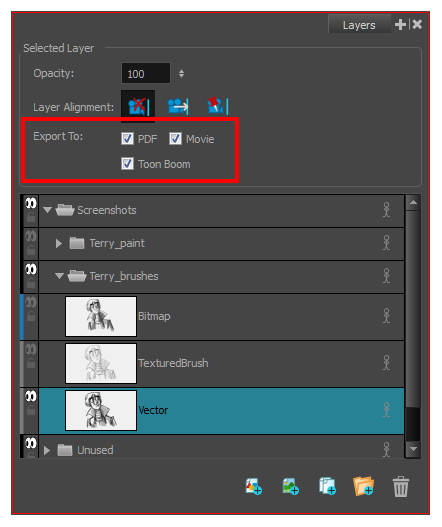 From the Thumbnails view, select the panel with the layers to export. Depending on your needs, select the options for the formats to be included with the layer. For example, if you do not want a certain layer to appear when you export a movie, deselect the Movie option for that layer.